The first 39 researchers have been selected for personal membership for the Advanced Research Center Chemical Building Block Consortium (ARC CBBC). Among them, Utrecht University researchers: Alfons van Blaaderen, Pieter Bruijnincx, Marjolein Dijkstra, Frank de Groot, Krijn de Jong, Petra de Jongh and Bert Weckhuysen. Members are provided exclusive access to the research programs of ARC CBBC that has an overall budget of 110 million euros for the upcoming ten years. 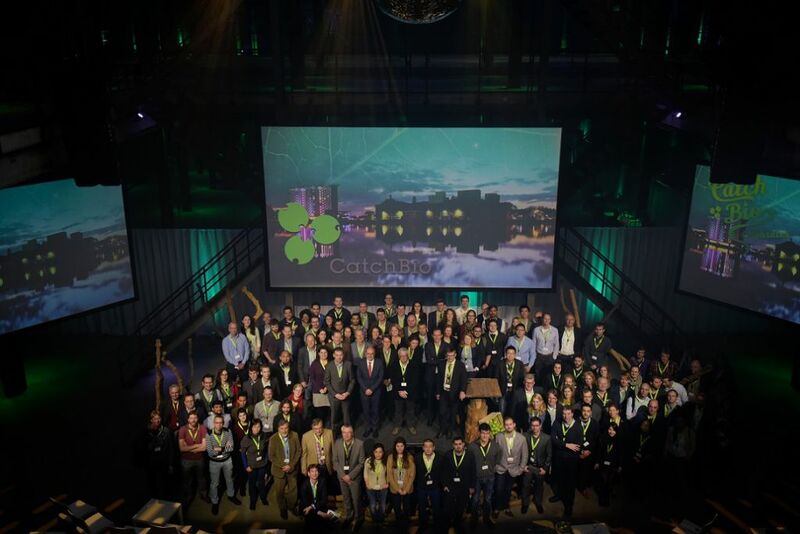 According to the recent report of TNO (Dutch organization for applied scientific research), ARC CBBC belongs to the new generation of strategic public-private collaborations. In the newsletter Onderzoek Nederland, Bert Weckhuysen, scientific director of ARC CBBC, explains that he wants to create something innovatory with the consortium: “a research center that exceeds the limitation of disciplines, unites expertise’s and pushes the boundaries of knowledge, together with companies”. An independent scientific advisory board made a pre-selection out of 159 requests for CBBC membership. The scientific advisory board exists of outstanding scientists from abroad, but with their expertise within the ARC CBBC. The executive board of ARC CBBC made the definite selection by looking at scientific excellence of the candidates. But also, taking into account that all scientific disciplines are within reach, as a basis to create strong interdisciplinary research teams. ARC CBBC will form the research programs furthermore with this first selection of scientists and chemical companies. Weckhuysen: “ultimately, we have chosen three common research themes, which are also important for the three collaborating companies”. The themes will be announced on February 17, 2017, at the first meeting with all selected CBBC scientists. The full article in the newsletter Onderzoek Nederland, number 401, January 13 2017 (Dutch). On November 16, 2016, scientists, industry representatives and other interested visitors celebrated a decade of research in catalytic conversion of biomass into valuable building blocks. 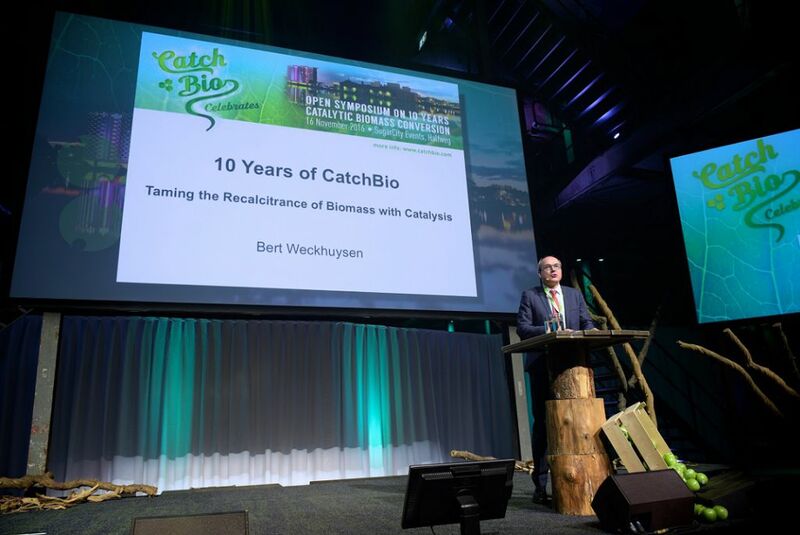 As scientific director of CatchBio, Bert Weckhuysen opened the symposium with a view on the journey along the past 10 years: ‘Taming the recalcitrance of biomass with catalysis’. Emiel Hensen spoke about ‘Opportunities and challenges in catalytic lignin valorisation’. CatchBio talents Evgeny Pidko and Pieter Bruijnincx talked about their CatchBio highlights in a video message that was shown during the conference. Information on CatchBio, their research program and upcoming events, visit their website. Solar energy is the future, but that energy can’t be stored properly. Researchers from the Institute DIFFER Eindhoven have found a solution: burn reversely. When you burn gasoline, carbon dioxide is formed. 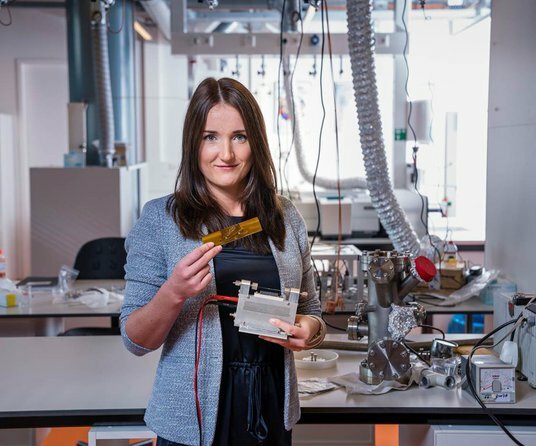 DIFFER is currently experimenting how to make gasoline and other fuels with solar energy from the carbon dioxide. Oudeman chooses not to extend her appointment as President of the Executive Board of Utrecht University for a second term. Her first term ends on 1 July 2017. Oudeman was known for her outstanding quality of connecting Utrecht University to the outside world in the past years, in particular to the business world. In an article in DUB, Bert Weckhuysen paraphrases her major contribution to the formation of ARC-CBBC; a perfect example of how her broad network and experience has been used actively which lead to the formation and a successful start of the consortium. Charlotte Vogt shows her workplace in the David de Wied building to DUB, although she is not exclusively bound to these labs for her experiments. As part of her research, Vogt sometimes takes her set-up abroad to execute her experiments with synchrotrons: particle accelerators that are located in several places in the world. Synchrotrons are highly specific and complex in their set-up and we don’t have these our own labs at the David de Wied building. The experiments with synchrotons are intensive in preparation and execution and can generate an extensive amount of valuable data. This makes research exciting –and you also get to see special places in the world. Charlotte Vogt with a part of her experimental set-up in the David de Wied building at Utrecht University; “What is special about this cell, is that it brings me to places around the world”.